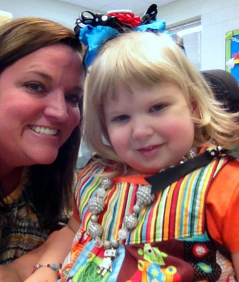 A Selfie with Her Teacher! Rhema loved being back at school and talks a lot about her teacher. Now, she still will not cooperate a lot of the time with her school therapists and just recently had to be put in a “time out” because she would not stop making noises during Circle Time, but nevertheless she LOVES school. Every week it’s a list of challenges that I hear from the teacher and therapists, but I’m thankful that they appear to still have a good attitude about all of Rhema’s enigmas. Rhema is a complex kid and has so many idiosyncrasies that she’s a tough cookie to teach. She frustrates me and I”M HER MOTHER! LOL! I’m happy that we have had some early testing which points to sensory issues and cognitive “delays”; having this documented by a professional is vital to everyone not become so frustrated with her. I think there are some folks who are borderline harsh with her a times and I’m praying for guidance on how to address those issues. It’s the age old question: is this behavior stemming from a child-like defiance OR is this a result of her cognitive issues/breakdown? If it’s defiance/act of her will then it must be addressed; she has to know her boundaries. If it is due to her cognitive issues, then that puzzle has to be figured out so that she can learn correct responses and/or way of behavior. It is a constant moving target only made more complicated in that each day she is growing and maturing; so what was correctly labeled yesterday may not be true today. One would argue this is true for ANY child and I would totally agree with that, however with a child who has special needs multiply the complexity by a million and welcome to my world. LOL! Even with all her complexities and challenges, I am constantly AMAZED at Rhema’s intuitive abilities and creativity. I absolutely LOVE sharing my days with her and LOVE LOVE LOVE to hear her talk about the world around her. I love it so much so I’m thinking of creating a Twitter account for all the funny things she says during my days. 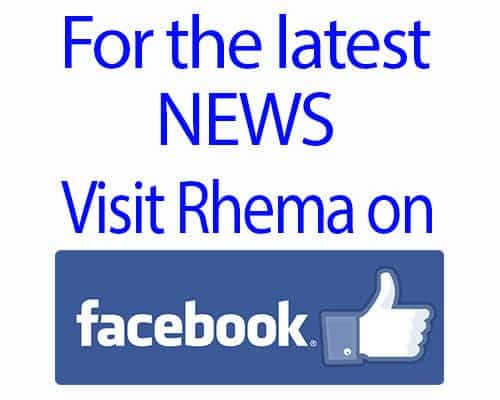 I will share one “Rhemaism” with you which had me inwardly rolling with laughter just a few days ago. So, we are constantly working on projects at home to make areas more accessible for her ; we have created a small space for her near my desk in the office. Rhema is fascinated with computers and thinks she needs to be working like daddy. So she tells me, “I need to type, type on a keyboard”…..*making typing motions with her hands….”then I need a computer too,” she tells me. I asked her what does she need a computer for? She stops and is thinking…’Ummm, ummmm to type….” she says. “To type what, a letter?” I ask. To which she proudly responds, ” yes… to type… a letter…. the letter H!…… Yes the letter H I will type on my keyboard. ” *Momma trying not to laugh…. “Yes, that sounds wonderful for you, to type the letter H”, I respond, “Momma will work on getting you a keyboard, okay?” “Okay… then I can type the letter H…” she emphatically says with much gusto and satisfaction. Daddy upon hearing this conversation says, “Yup, that’s my girl!” Momma is thinking, “oh, no once there was one, now there is two! I’m quickly becoming out numbered here!” LOL!